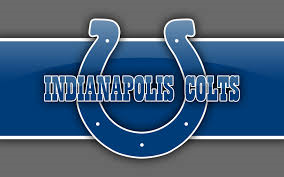 Houston, Texas – Via its trademark attorneys, Plaintiff Texas A&M University of College Station, Texas filed a trademark lawsuit in the Southern District of Texas alleging that the Indianapolis Colts, Inc. infringed its intellectual property rights in the “12TH MAN” mark, Trademark Registration Nos. 1,612,053; 1,948,306; and 3,354,769, which were issued by the U.S. Patent and Trademark Office. Also alleged were federal unfair competition and false designation of origin as well as unfair competition and trademark dilution under Texas state law. Texas A&M asserts that, as early as 1922, it has used the trademark 12TH MAN in connection with sporting events and numerous products and services. It contends that the 12TH MAN mark identifies and distinguishes Texas A&M in connection with all of its athletic entertainment services and events. Texas A&M also licenses the mark, including having granted a license to Football Northwest, LLC for use by the Seattle Seahawks professional football team. Plaintiff contends that the Indianapolis Costs first used 12TH MAN trademark inside of its stadium around 2006. In response to this use, Plaintiff indicates that it sent a cease and desist letter to Defendant, which appeared to result in a resolution of the matter. Texas A&M states that it again became aware of use of the 12TH MAN mark by the Indianapolis Colts in 2012, which again resulted in a cease and desist letter sent to Defendant. According to the complaint, Texas A&M most recently became aware of use of the 12TH MAN mark by the Indianapolis Colts in July 2015, when Defendant e-mailed a solicitation including the mark to an individual in Texas A&M’s home town of College Station, Texas. Plaintiff claims that this use of the 12TH MAN mark is one of multiple current uses of the trademark by the Indianapolis Colts. • Count I: Trademark Infringement Under 15 U.S.C. §1114 et seq. Texas A&M seeks injunctive relief, attorneys’ fees and costs. The case was filed in the Southern District of Texas, Houston Division and assigned Case No. 4:15-cv-03331.